North Korea to cancel dialogue after South Korea-US, Max Thunder Air Force drills. 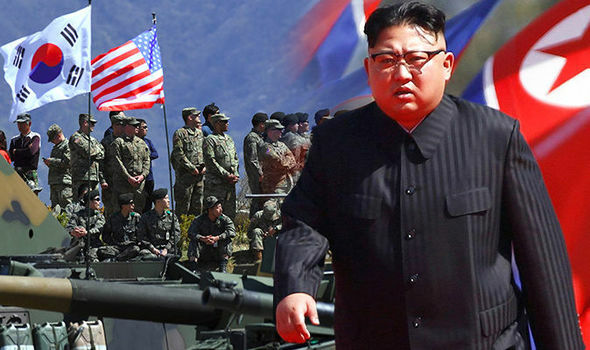 North Korea said it is canceling high-level talks with South Korea which is planned for Wednesday at their shared border area because of ongoing military exercises between the South and the United States. The talks were officially scheduled for Seoul and Pyongyang to follow up on the agreement after a successful dialogue struck by the two Korean leaders at their historic summit last month. The South Korean government says the decision is "regrettable" and calls on North Korea to resume the dialogue. But, later North Korea's first vice foreign minister, Kim Kye Gwan, went further, saying in statement that Pyongyang has no interest in a summit with Washington "driving us into a corner and making a one-sided demand" for North Korea to give up its nuclear weapons, while American hostility still rife and its armament include soldiers are conducting military exercises on daily basis. A lengthy statement from North Korea's state-run KCNA said the Max Thunder Air Force drills, which started on Friday, are a "bid to take a pre-emptive strike" and a clear provocation despite a time of improvement with inter-Korean ties. It also included a not-so-veiled threat to call off the June 12 summit between Kim Jong Un and President Trump. "The United States will also have to undertake careful deliberations about the fate of the planned North Korea-U.S. summit in light of this provocative military ruckus jointly conducted with the South Korean authorities," KCNA said.